A local company with a purpose is working with local businesses to support women with post-mastectomy clothes that are comfortable and stylish. With Grace B. 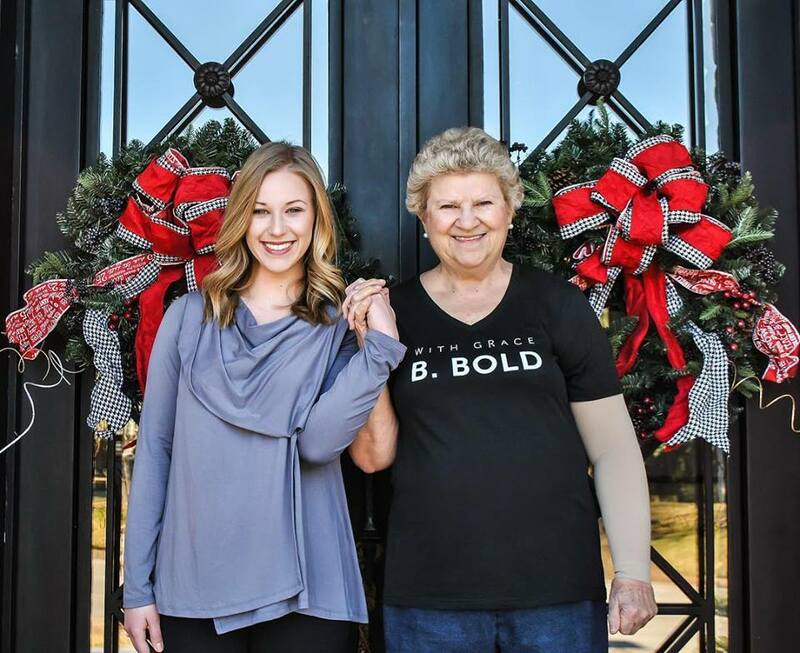 Bold offers post-mastectomy wear for breast cancer patients. 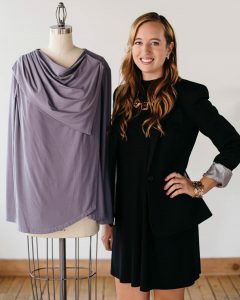 Megan Sullivan’s business With Grace B. Bold was launched to help women who are dealing with post-mastectomy drains feel like their clothing could be both fashionable and functional. In the time since the brand’s launch With Grace B. Bold was able to successfully reaching its Kickstarter campaign goal. “Our collection officially launched after our first round of production and was completed this past November, almost exactly a year later, and our products are now available for purchase,” says Sullivan. Since Cincy Chic last spoke with Sullivan, she says the brand has created partnerships and grown in more ways than she could imagine. Sullivan’s dream for the brand is to ultimately become a nationally and even globally recognized fashion company. When it comes to her products, Sullivan says that With Grace B. hold has seen overwhelming success in selling The Eileen, the top without the post-surgical drain pocket. Not only has the style of the products enticed customers to purchase products, but the bamboo fabric they are made out of has been key in contributing to the brand’s success. With Grace B. Bold is no longer just available online, it’s also sold in stores. Sullivan says that when With Grace B. Bold gets to partner with local boutiques and other brands is that the business is able to support the local maker community. “With so much talent is coming out of Cincinnati, and it’s amazing to come together to support each other and our missions,” she adds. With Grace B. Bold recently completed a successful fundraising round on Kiva, a loan program that helps to fund start-up companies with social purpose. Sullivan says that she’s most excited about the products With Grace B. Bold is working on debuting. To learn more about With Grace B. Bold, visit withgracebbold.com, where you can find frequent updates on progress and news. You can also follow along on Facebook, Instagram, and Twitter.